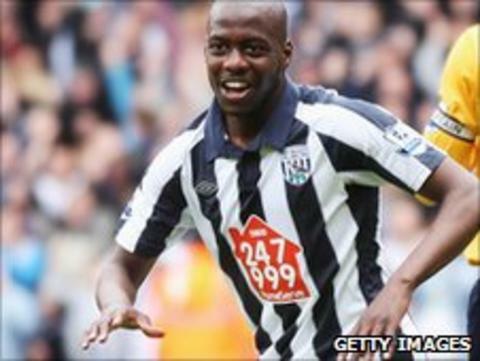 Youssouf Mulumbu has signed a new contract at West Bromwich Albion. The midfielder, 24, has committed himself to the Premier League club until June 2015. Mulumbu was given a third contract extension in 13 months after being named West Brom's player of the year by both the fans and players last season. Manager Roy Hodgson said: "We're looking forward to seeing him build on his success. It is great that Youssouf has been rewarded for his efforts." The new deal is for an initial three years, with West Brom having the option of taking up an extra 12 months. Mulumbu joined West Brom from Paris Saint-Germain for £175,000 in July 2009 following a loan spell.